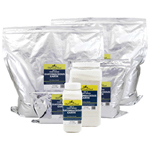 PET SCENTS HERBAL SHAMPOO by Natural Pet Products is a natural, pleasant smelling, herbal shampoo that contains Tea Tree Oil (Melaleuca) and Eucalyptus Oil which are both considered to have natural antibiotic and antiseptic properties, which aid in healing insect bites, scratches, and hot spots. 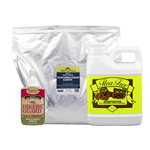 Pet Scents Herbal Shampoo eliminates fleas and lice as well, so is perfect for bathing dogs, cats, ferrets, and other pets during flea season and especially good when fleas, mites, lice, and other blood sucking insects are a problem, combined with Flea Free Food Supplement and food grade diatomaceous earth for optimum effectiveness against these blood sucking insects. 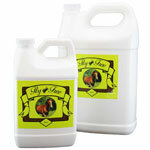 Pet Scents Herbal Shampoo is cleansing and moisturizing. It contains the soothing properties of Aloe Vera and is based in luxurious coconut oil which will leave the coat full, soft, and healthy. 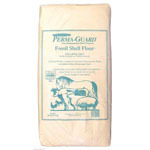 Pet Scents Herbal shampoo has a gentle pleasant scent that lasts for days after bathing. It can be used directly from the bottle or diluted. 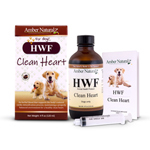 It cleanses and protects the natural oils in the skin and fur and helps draw out old loose fur for less shedding to help leave a beautiful shiny coat. 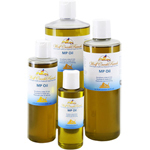 Coconut oil, Vegetable Glycerin, Orange, Cedar Wood, Bay, Tea Tree Oil, Eucalyptus, and Aloe. NOTE: Pet Scents does NOT contain Sodium Lauryl Sulfate, Parabens, detergents, artificial colors, preservatives, or fragrances. One 8oz. bottle will make two (2) gallons of shampoo. Many groomers mix it 8 to 10 parts water to 1 part shampoo. Then spray the dog with it, leave it on for 5 to 10 minutes and rinse it off. 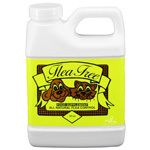 This will kill the fleas or mites that are presently on the animal. Also kills head lice!